The container transport cars with the yellow tubs to go with this locomotive can be found under item numbers 24136 and 24138. Other cars with different car and container numbers can be found at Märklin under item numbers 47130 and 47131 with specifications for the required DC wheel sets. 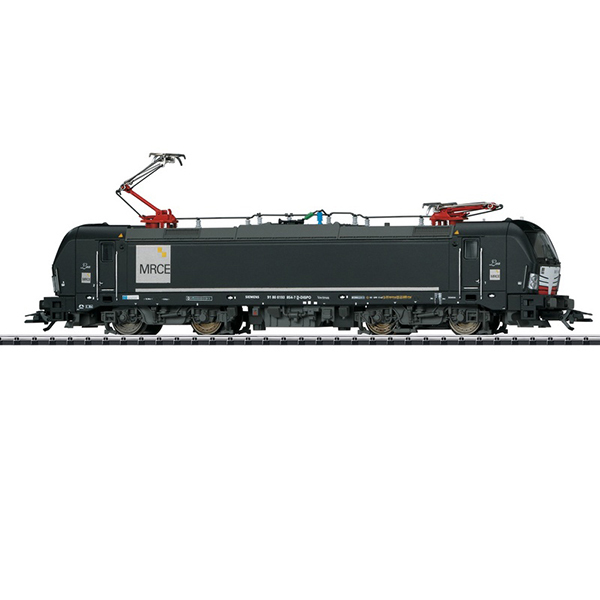 An AC model can be found in the Märklin H0 assortment under item number 36182.